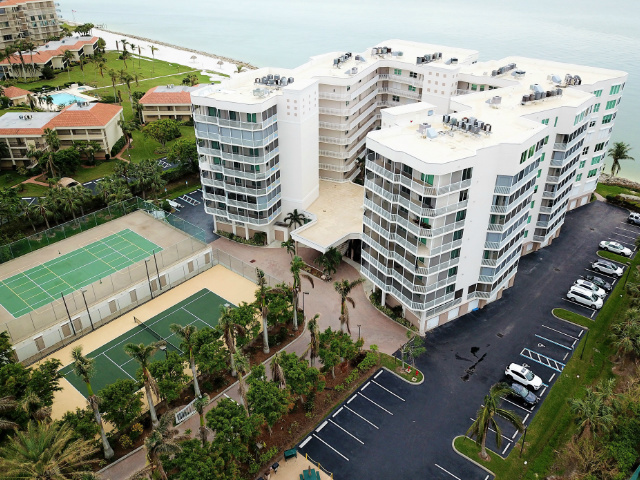 Built in 2000 and located at 1070 S. Collier Blvd, Marco Island, Florida is The Mirage on the Gulf. You’ll enjoy breathtaking views from this gulf front community that features 59 units spread over 9 floors. Mirage on the gulf offers 3BR/3BA, 4BR/4BA, and penthouse suites that range from 3184 to 4430 sq ft.
Pets: 2 pets, 20 lbs. max Rental Policy: 1 rental per 30 day period.